Refer to how to get and where is Iriomote Island. 1 Where is Iriomote island? 2 There is a direct flight from Hong kong and Taiwan to Ishigaki ! 3 How to get from Ishigaki to Iriomote. 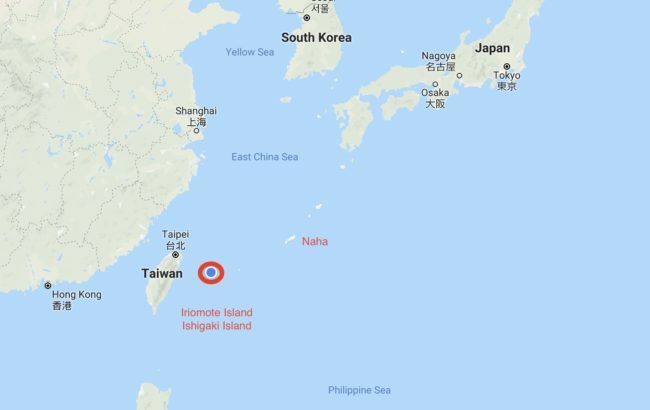 Iriomote Island is 50km south of Ishigaki Island that is 410kｍ southwest of Okinawa Island.Taiwan(210km) is closer than Okinawa(410km). 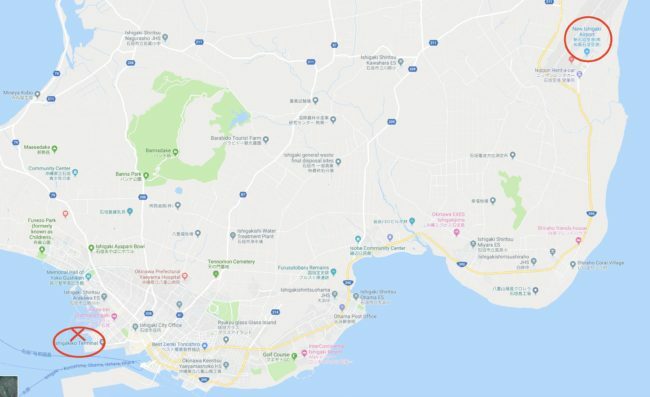 Ishigaki is northeast of Iriomote.First of all,you can’t come Iriomote,not coming Ishigaki.How to get to Ishigaki Islandis only airplane now(2015)It takes about 3h half From Tokyo, 3h from Nagoya, 2h 50m from Osaka and 2h from Hukuoka. You shold check LCC campaign to get the cheep tickets. There is a direct flight from Hong kong and Taiwan to Ishigaki ! It takes about 1 hour from Taiwan(210km) and 2 hour from Hong kong(1,000km). 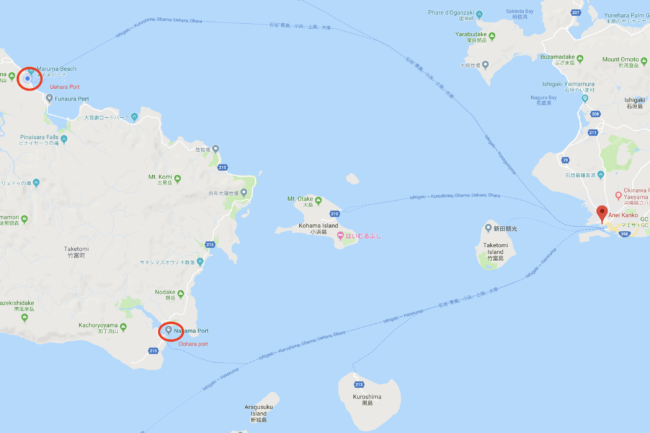 How to get from Ishigaki to Iriomote. 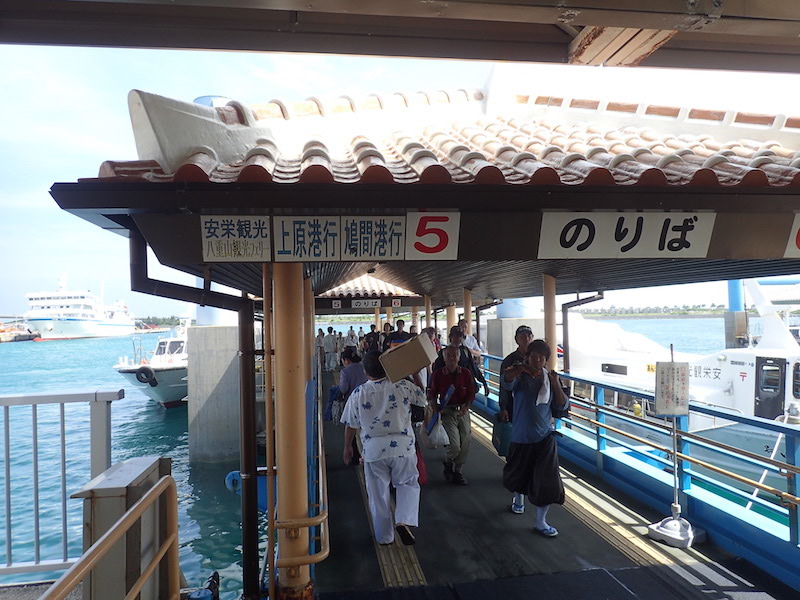 First of all, I am going to Ishigakijima Island Remote Terminal to go to Iriomote Island. 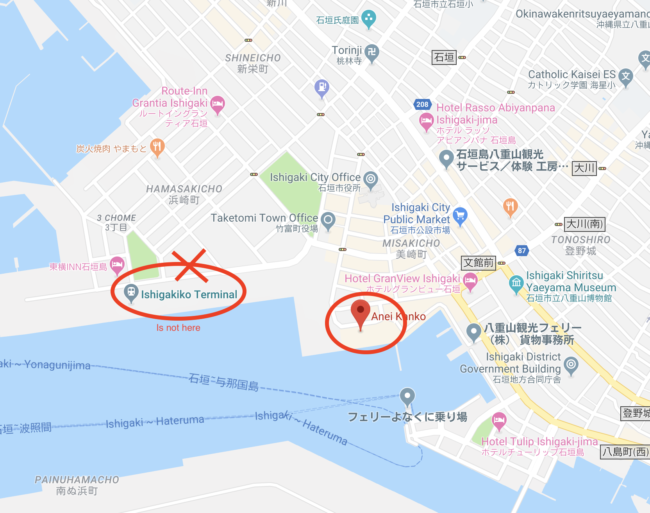 If you search with Ishigaki Port on the map of google,you will go to another port.Be caution! It is a misinformation map! ! 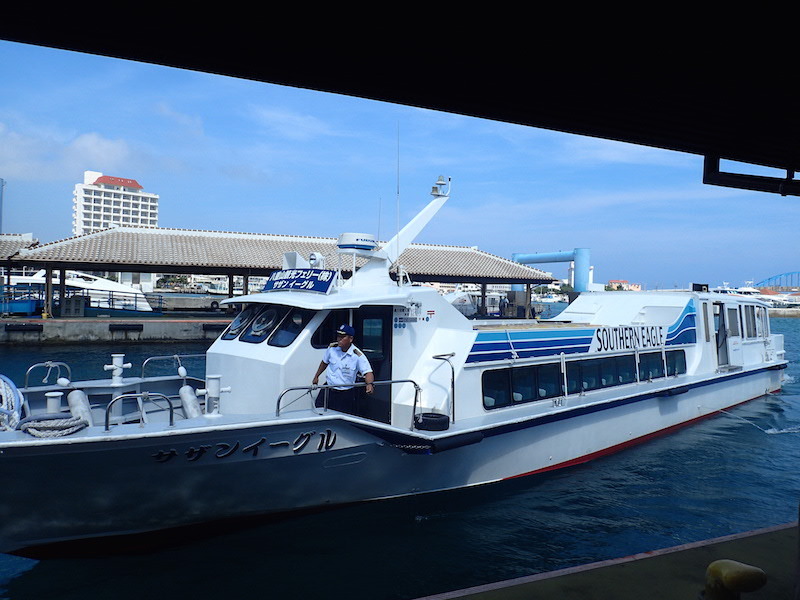 You can get a shuttle boat from the Passenger terminal in Ishigaki.A day trip is possible.There are two ports in Iriomote.It takes about 50 minutes to Uehara port and 40 minutes to Ohara port.Between Uehara and Ohara, It takes about 1 hour by car. 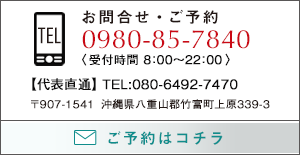 There is also an English homepage. 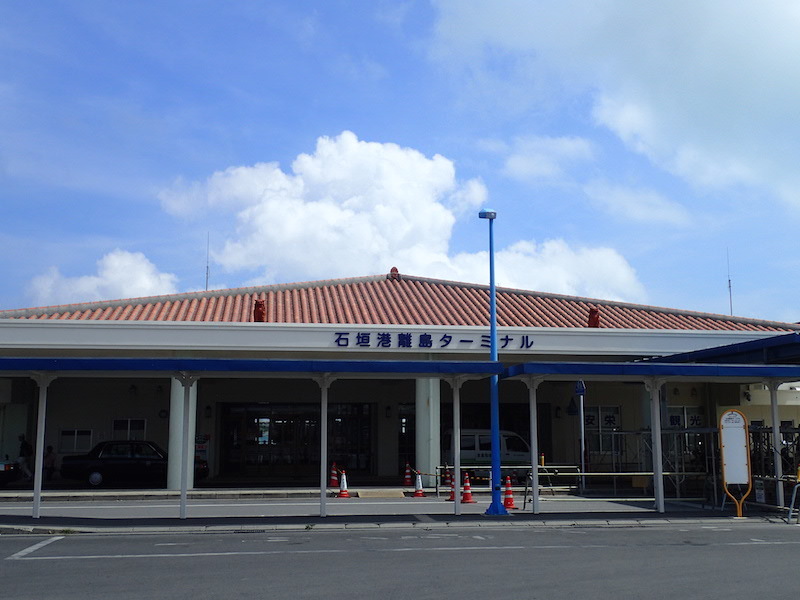 。”passenger terminal of Ishigaki Island” It’s the beginning of the journey to remote islands. 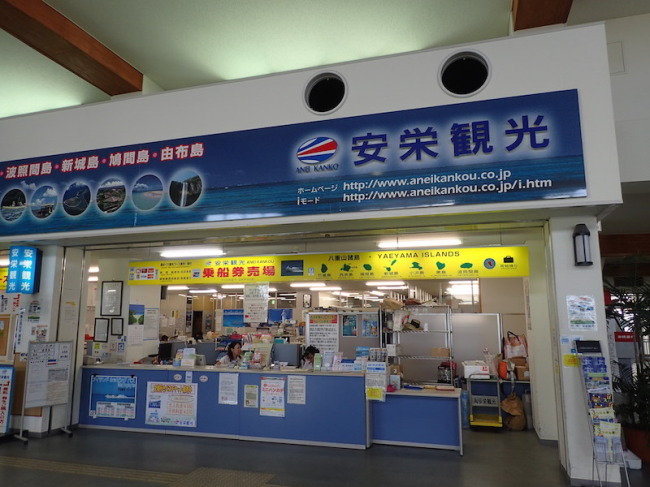 “View of ticket office” Aneikanko is the most convenient way to get Iriomote Island.It’s possible to get Yaeyamakanko ferries with Aneikanko tickets. “To Uehara port” Travel cruising excites romantic. 。We recommend to take rear sheats, if you get motion seasickness easily. In Iriomote Island,we recommend to play in mother nature.Try canoeing in a river with mangrove forests and trekking in the subtropical jungle.